Can I can get the adhesive type visa , not the loose-leaf type, when I arrive, by air, in Hanoi? I need the adhesive type because I will be exiting Vietnam and into Laos by land, and Lao immigration needs proof of exiting Vietnam. 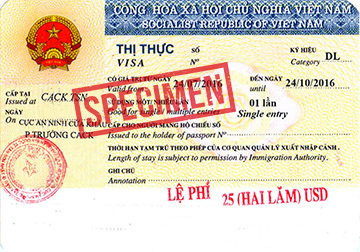 A loose-leaf type is torn off by Vietnam immigration when leaving and therefore Lao Immigration will not allow someone in without "proof" or an adhesive visa. Both visa types will allow you to exit by land. We advise that you contact the local embassy for information on how to get a visa to Vietnam before you go.